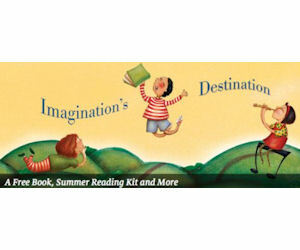 Barne’s & Noble is rewarding your kids for reading over the summer!! What an Awesome way to keep your kids reading all summer, especially if they are book nuts. My Son would breeze through 8 a day if he knew he would get free books for doing it. Kids read any eight (8) books of their own choosing. Kids use the Summer Reading Journal to tell their favorite part of each book. A parent/guardian signs the journal when it’s complete. Children bring their completed Reading Journal to a Barnes & Noble store between May 20th and September 2nd, 2014 and they’ll get a free book!